The Faculty Women’s Association and the Theater & Media Arts Department released a series of short films featuring women working at BYU, a project started in 2014 to encourage young women to stay in college, expand their vision of higher education and recognize the blessings that come from lifelong learning. PROVO, Utah (Jan. 23, 2015)—Is going to graduate school incompatible with being a wife and mother? Barbara Smith, president of the Faculty Women’s Association (FWA), along with Theater & Media Arts Department chair Amy Jensen and associate chair Tom Lefler, worked with a group of all-female student filmmakers at BYU to show the value of higher education to enhance marriage and motherhood in a web series entitled By Study, By Faith. To commence the film’s premiere, Smith encouraged students and faculty in attendance to look for common threads throughout the series – threads that she believes came through loud and clear in each of the interviews. Another thread Smith highlighted was that learning enables us to develop desirable attributes and capabilities that allow us to serve more effectively in our families, communities and employment settings. “Setting and achieving goals related to education will allow you to be much better at fulfilling your life’s work and mission,” she concluded. During a question and answer period between viewings of the films, a number of the women interviewed for the web series explained what motivated their participation in the project and how their education and dedication to lifelong learning has enabled them to serve effectively. In Pulsipher’s own film, she acknowledged the challenge young women face in our culture when it comes to making decisions about academic pursuits and the desire to have children and raise a family. Pulsipher stressed that young women feel that these two paths are incompatible, when in reality they are not. 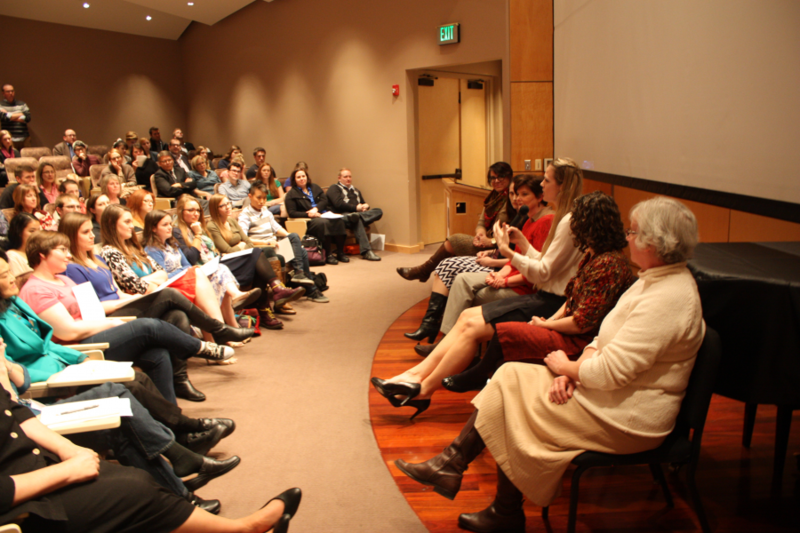 Sociology professor Renata Forste, another female faculty member featured in the project, said that over the twenty years she has been a faculty member at BYU she has seen hopeful changes in the attitude toward women and education. Jensen, one of the executive producers and faculty mentors of the project along with Tom Lefler, shared how touched she was as she watched how the film students involved in the project were influenced by the experiences they had in the process of interviewing and filming the faculty women. That student was Coco Mack, a student director and editor on the film project. Mack said that before the project began she had been in need of mentoring but was unsure how to express it. When everything came together and she was invited to work on the project, she had no idea that it would later answer her questions and give her the direction she needed. By Study, By Faith is a series of 10 short films that explore the educational journeys of 10 women who work at BYU. The purpose of these films is to encourage young women to continue to pursue higher education and validate their academic and vocational goals. 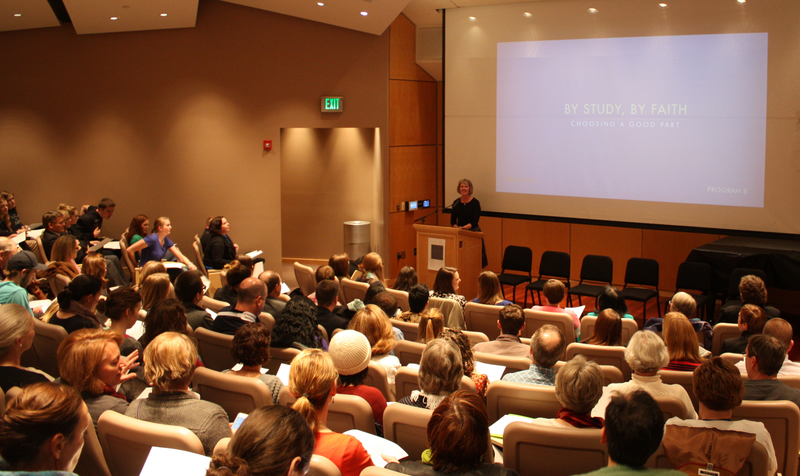 The web series and other stories about BYU faculty women’s educational journeys can be accessed at bystudybyfaith.byu.edu. These films and stories are meant to be shared with family and friends to encourage women to continue to pursue higher education and lifelong learning. For more information, visit bystudybyfaith.byu.edu.